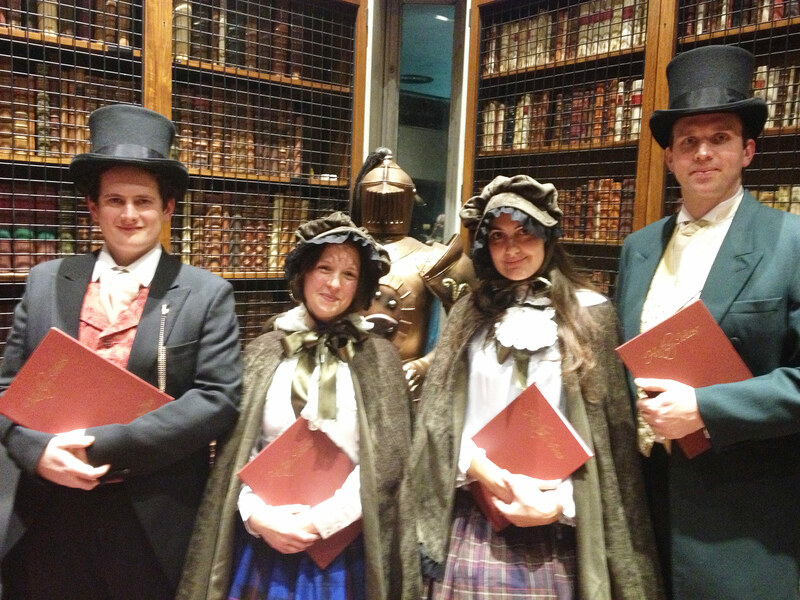 The London Carol Singers perform a capella arangements of traditional carols and modern christmas songs dressed in either modern or period costume. 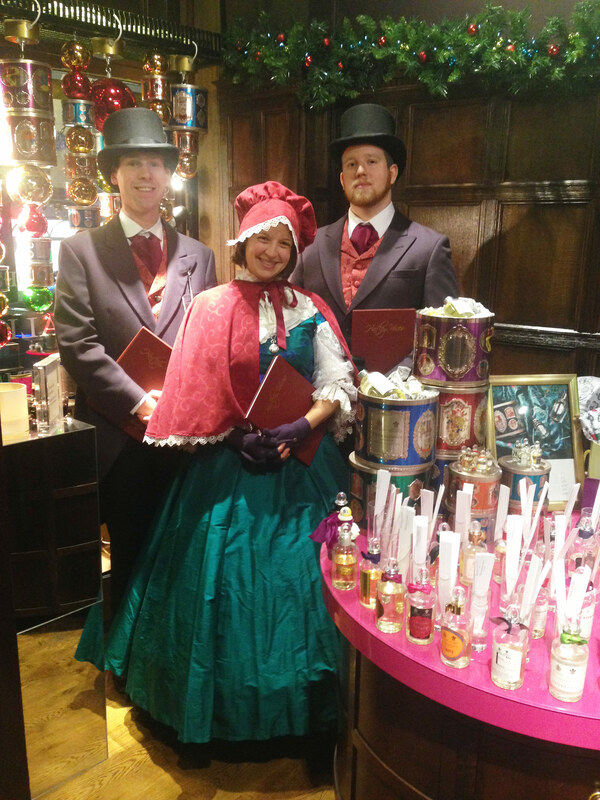 Top hats and flowing skirts bring the magic of a Dickensian Christmas to a Victorian themed event, while Christmas jumpers and santa hats add a festive touch to any party. 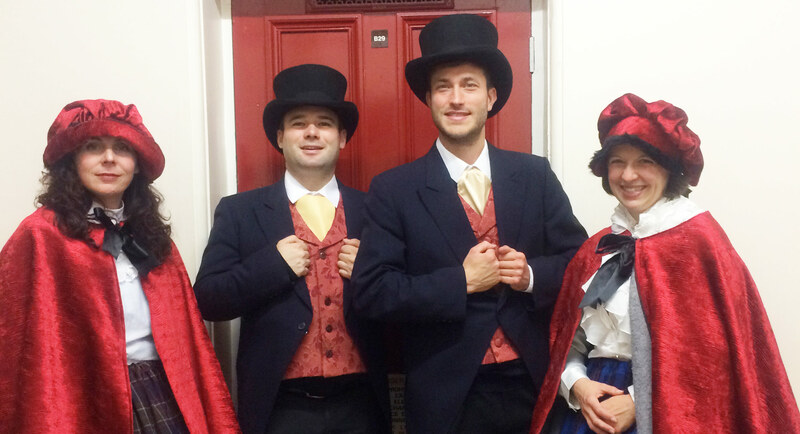 "Costumed carol singers perform Yule-tide carols and popular Christmas songs. " 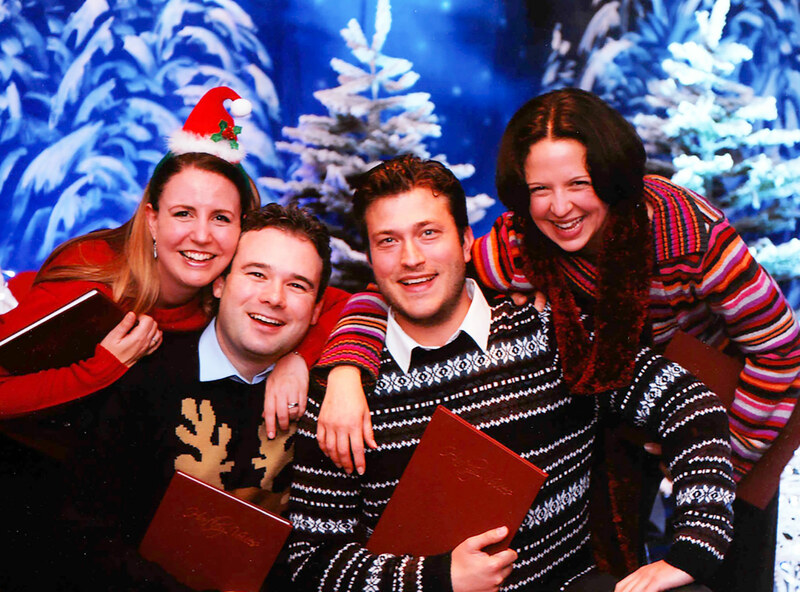 For modern day Christmas parties, the group performs in Christmas jumpers with Santa hats or as door-to-door 21st century carollers in overcoats, bright coloured scarved and wooly hats. Popular Christmas classics such as “Here comes Santa Claus”, “Have Yourself A Merry Little Christmas” and “Little Drummer Boy” are mixed with traditional carols. The London Carol Singers performance is acoustic. 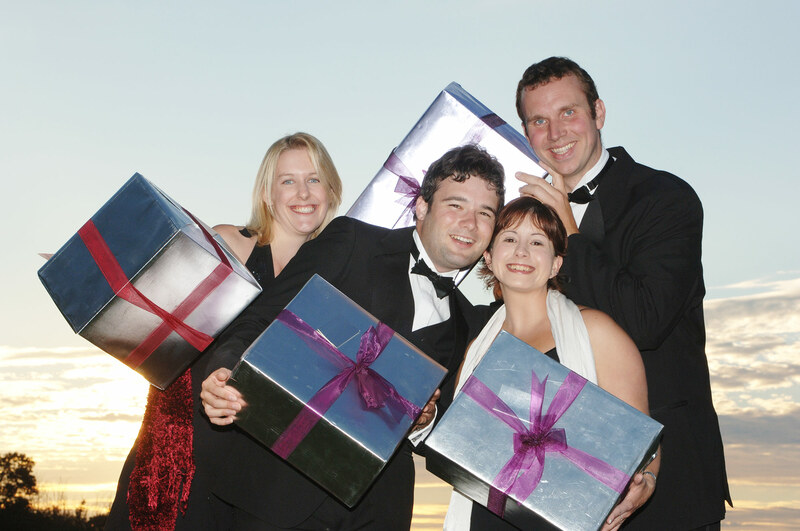 The group can perform concert-style or can stroll round the room, entertaining groups of guests as they go and can also perform out of doors. 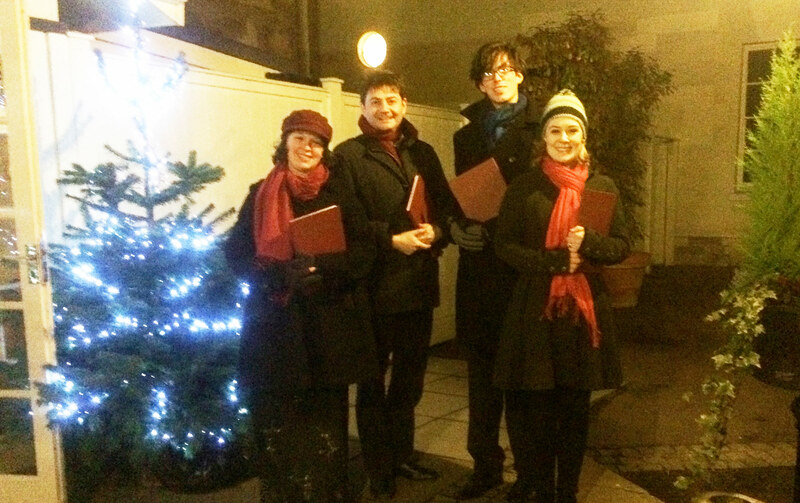 For optimum performance the group recommend at least four carol singers, however a trio is available for small events. 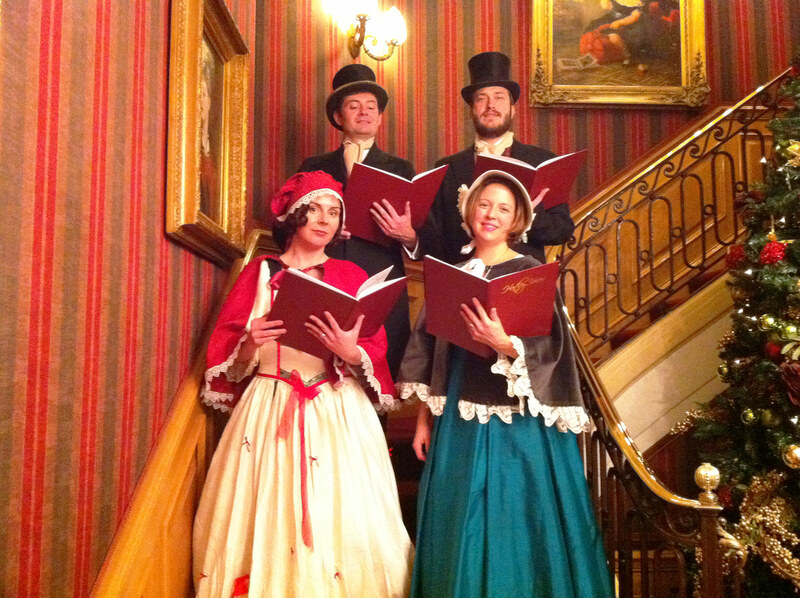 Costumed carol singers performing in Victorian or modern dress. Repertoire of traditional carols and modern christmas songs.